Square Heart Tee - IDONTMIND - Your mind matters. Talk about it. Love yourself no matter what you've been through. Face the future confidently, and say IDONTMIND. IDONTMIND dash logo on the front. 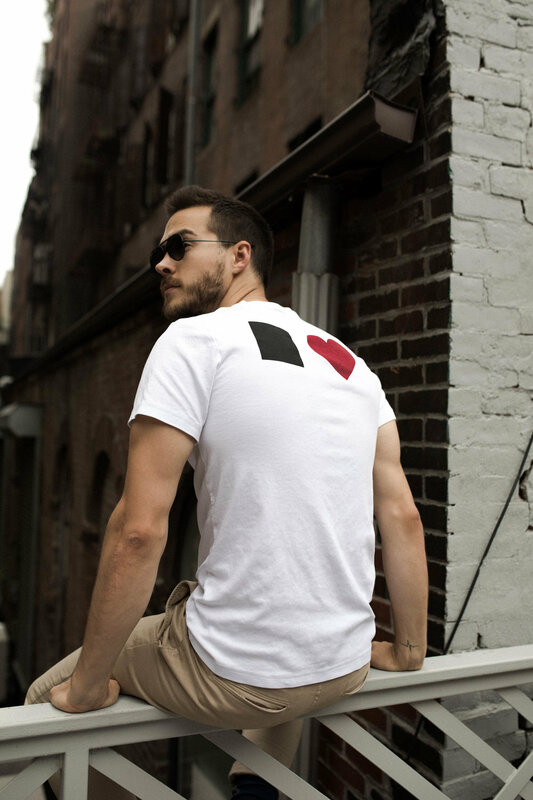 Square/heart graphic on the back. 100% pima cotton, a premium cotton that's silky smooth and durable. Limited edition. Only 200 available.